Don Evenson has been doing celebrity charcoals for years and has a considerable collection. 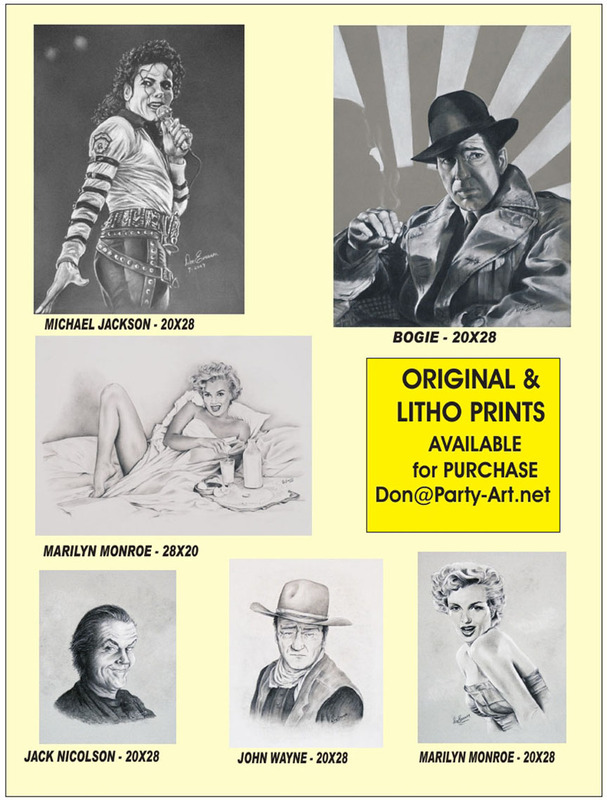 Most are for sale as originals and almost all are available as high quality litho prints. You can see more of his art by going to his Facebook page or at several galleries.